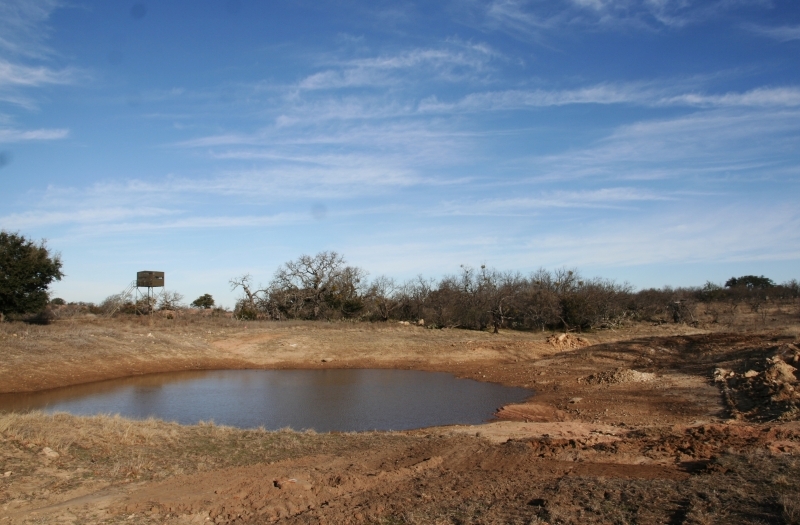 Mason County Texas, gem capital of Texas and the home of “Old Yeller”. The land tract is approximately 500 acres located in Mason County Texas. 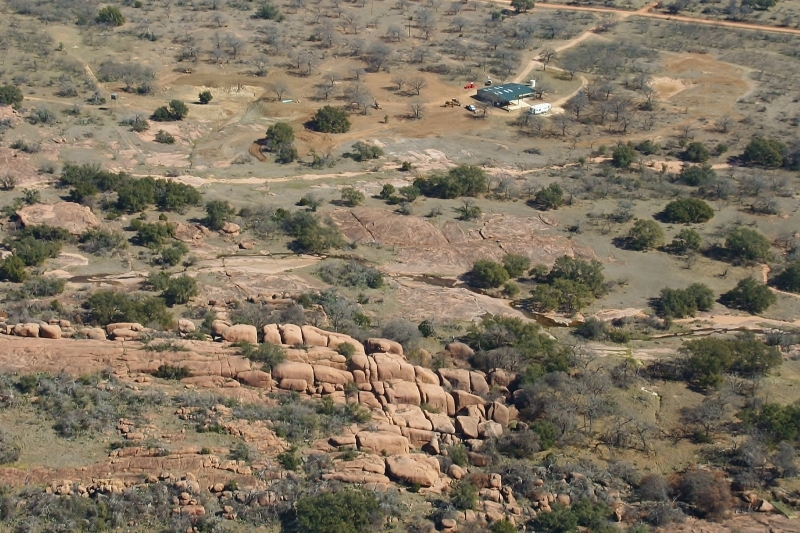 The land is rolling with dynamic elevation changes and granite outcroppings. 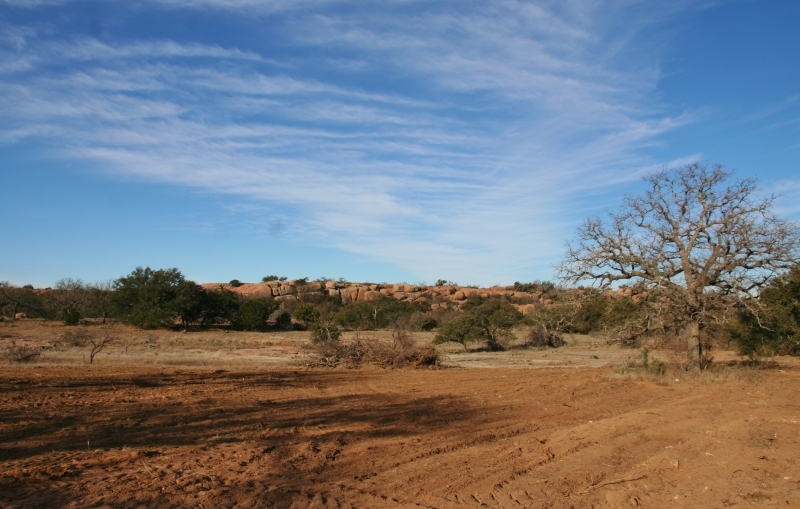 Mature oak trees and mesquites are the primary vegetation. 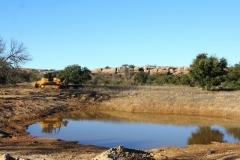 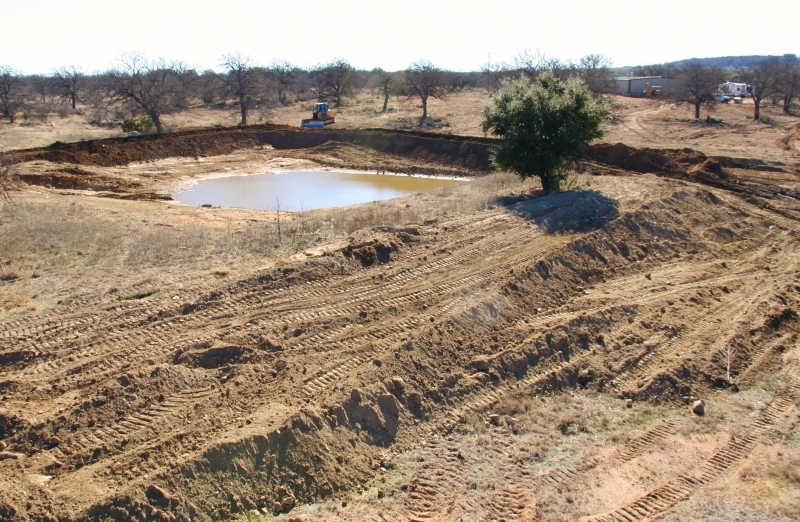 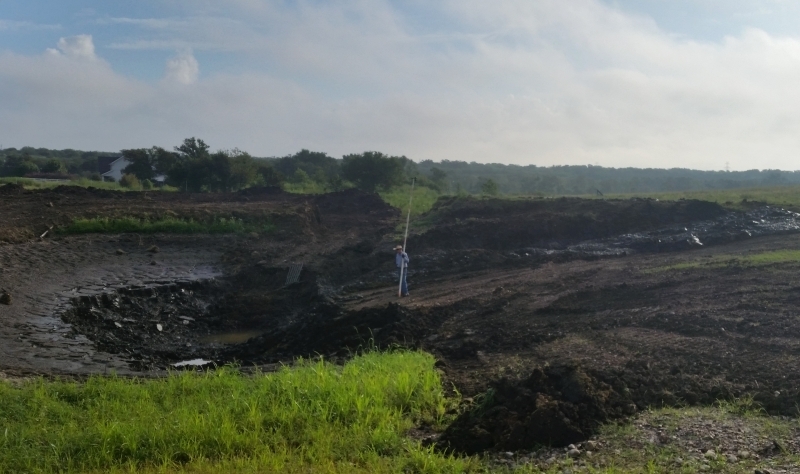 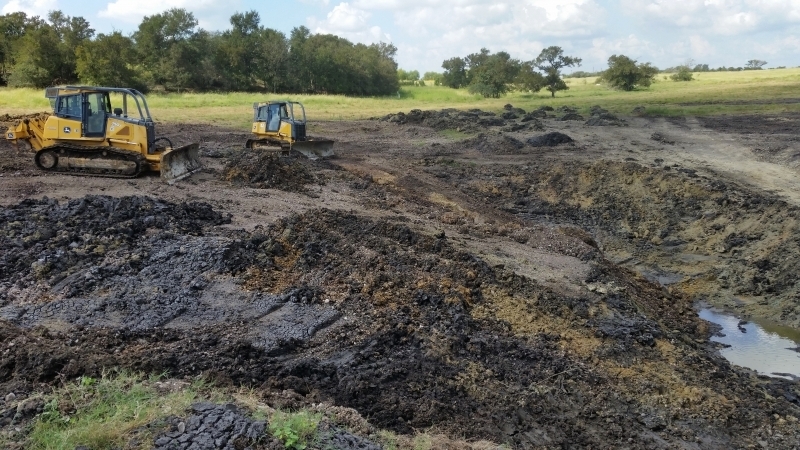 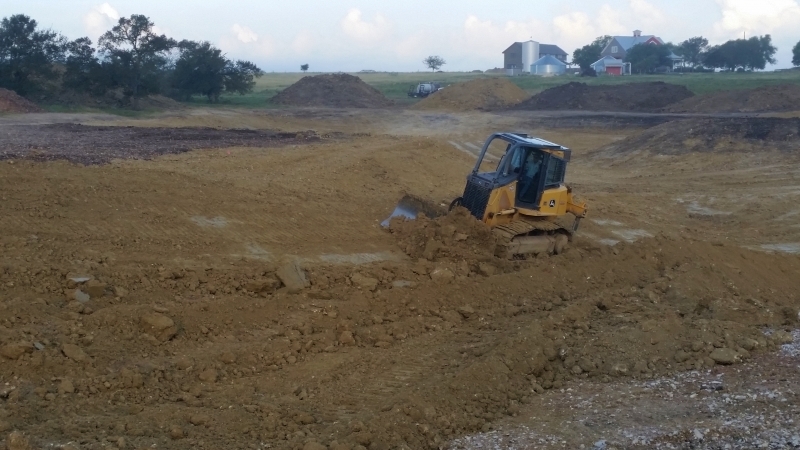 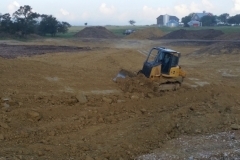 The project is expanding an existing tank to approximately one surface acre and installing a plastic liner to make the pond hold water. 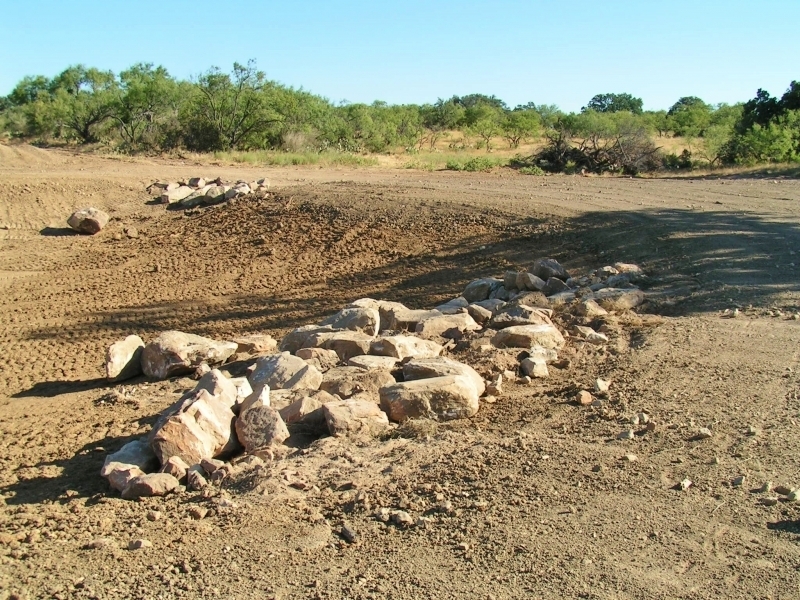 The first order of business is to clear the mesquite trees so as to enhance the existing oak trees and to get a better idea on how to design the project. 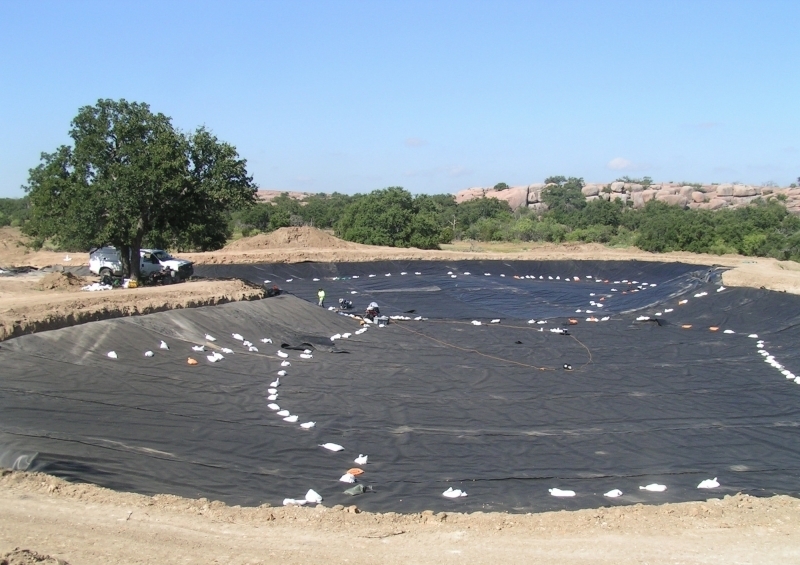 One of the primary challenges associated with the project is achieving the proper depths along with installing the plastic liner without having to excavate into the existing rock. 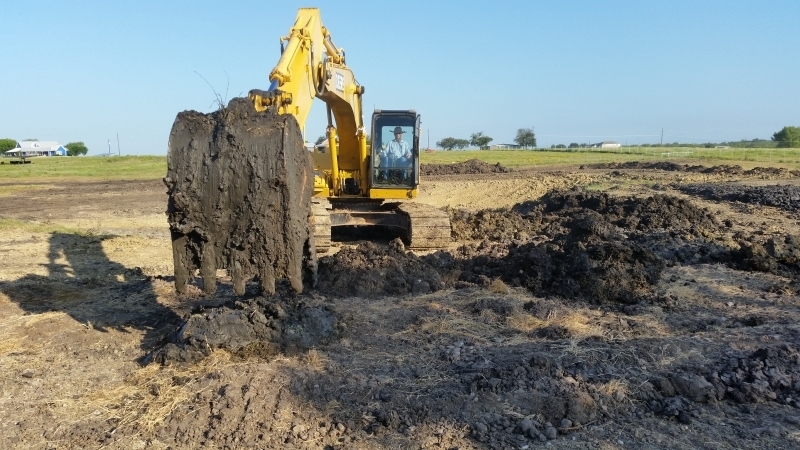 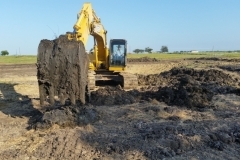 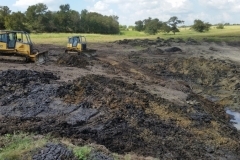 A “cut and fill” (deepen some areas of the site while filling others) method of excavation is being used to accomplish this goal. Moving the dam on existing tank to enlarge the surface of the water feature. 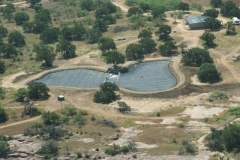 Aerial of the site. 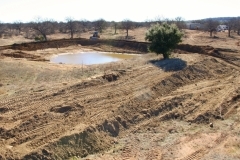 The pond site is to the left of the house. 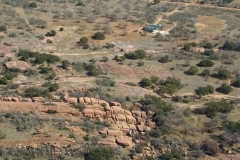 The granite outcropping in the foreground is what is seen in the mesquite clearing picture. 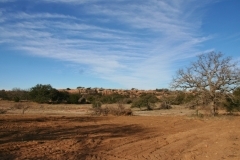 Mesquite trees cleared to enhance the overall aesthetics of the site. 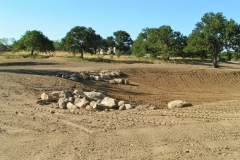 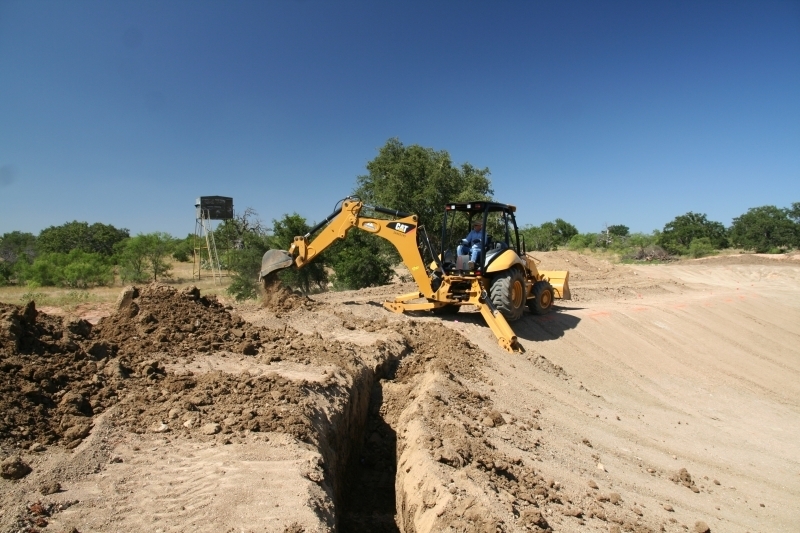 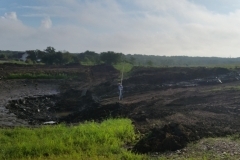 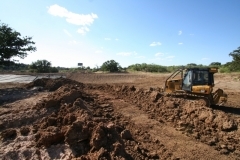 The anchor trench for the plastic lake liner is dug around the lake perimeter. 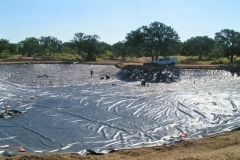 The plastic lake liner is placed in the lake. 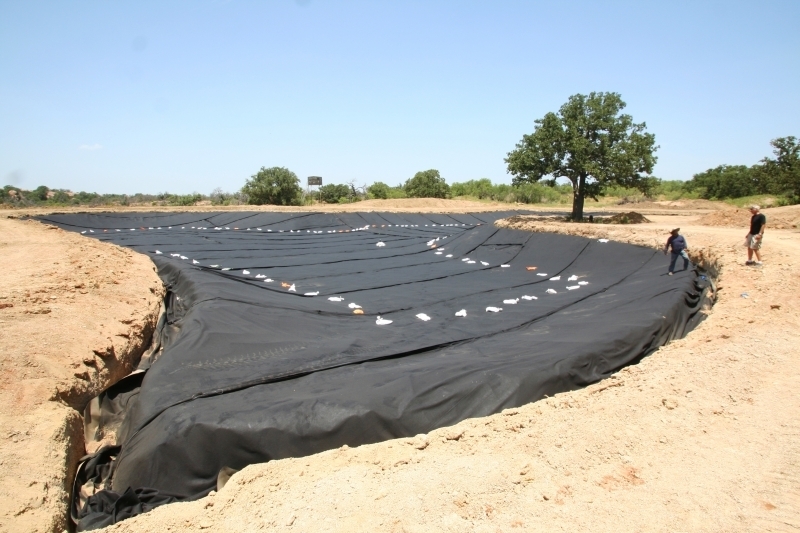 A geo textile top layer is added for extra protection against liner tears or punctures. 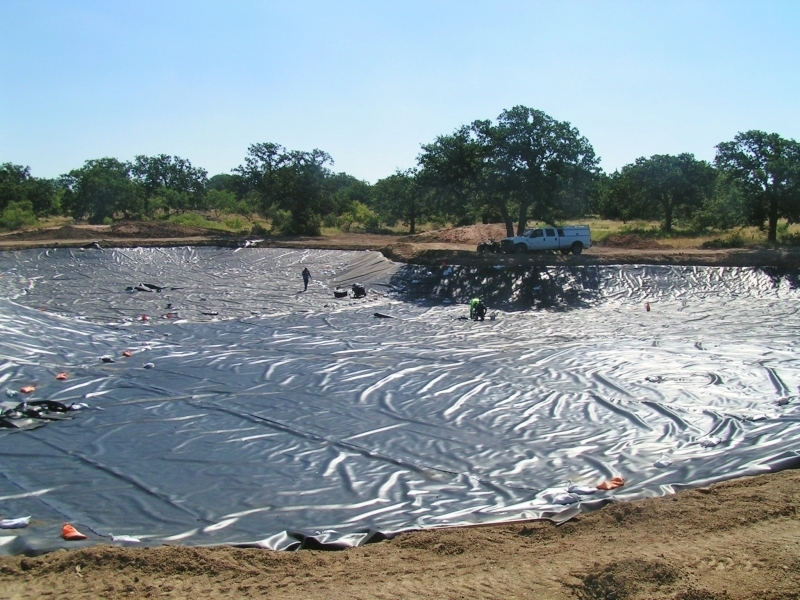 Sandbags are temporarily placed to hold the plastic lake liner in place. 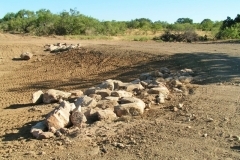 A rock spillway is added to insure integrity of the structure during heavy rain events. 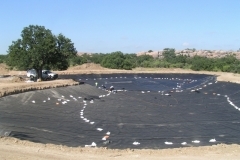 Extra attention to this type detail is what separates us from other lake liner contractors. 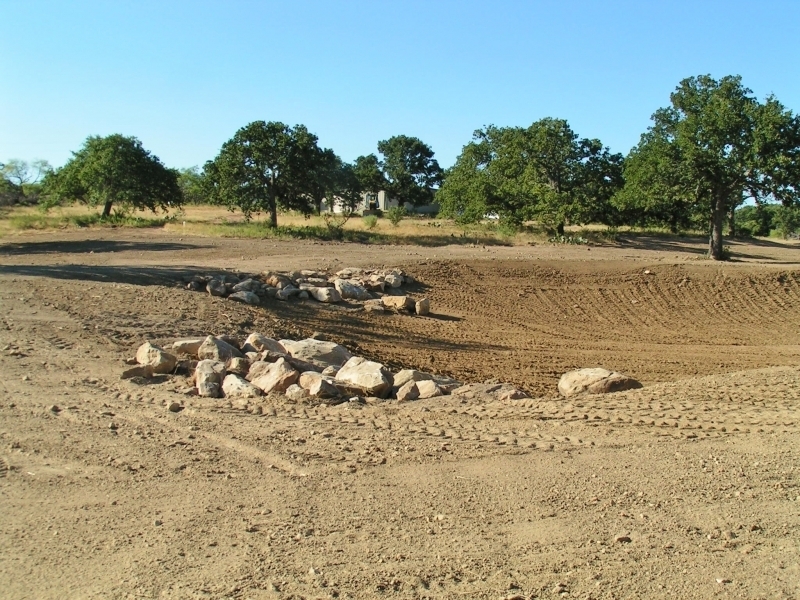 Top soil was banked during initial construction and is now moved back in place to insure lush grass for the banks. 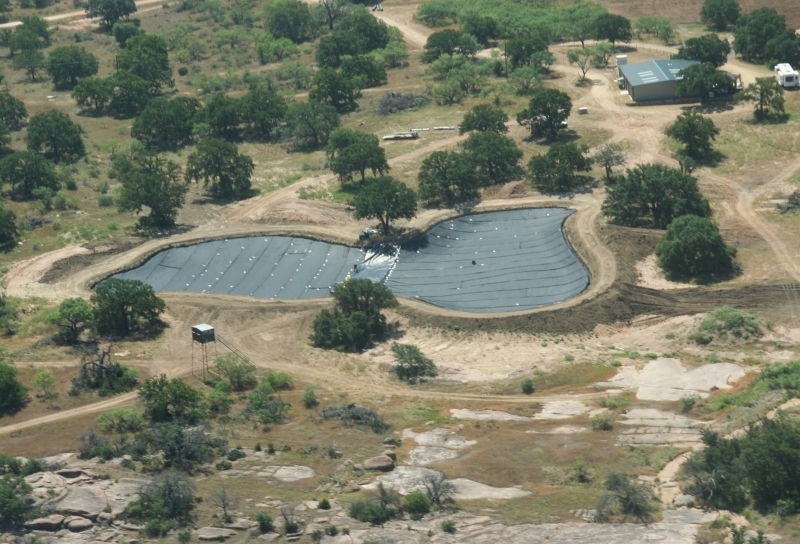 Aerial view of completed lake liner.